They didn’t have a lot of flavor on their own, but had some generic greek spices on them. 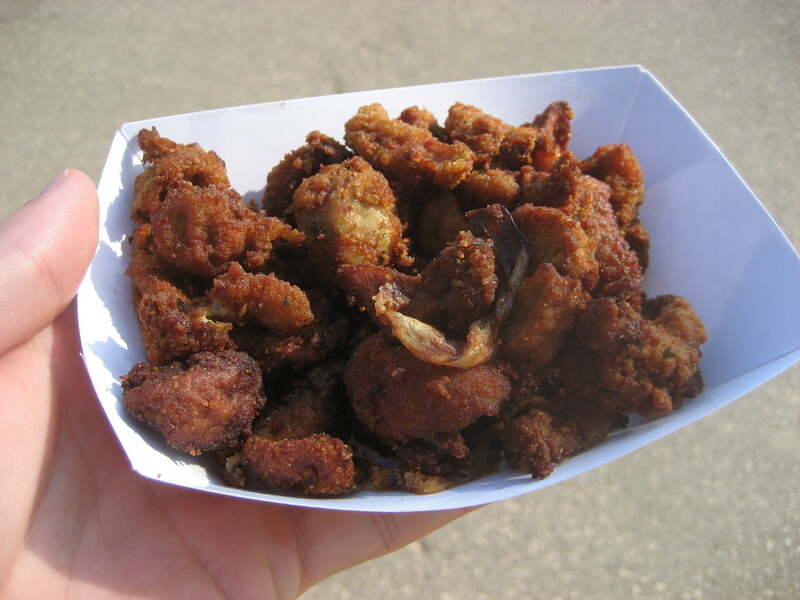 Despite being fried they were still a bit chewy, which was a little off-putting since they were lamb testicles. They served them with some sauce, not totally certain what it was. Not particularly pleasant to eat, but not terrible overall. Wouldn’t eat them again most likely, mostly because of the chewy factor. The flavor was mostly the spices and the sauce. So there you have it, straight from the palete of officially the bravest guy I know. My second trip to the fair was less adventurous than his, but I did find some great eats! If you’re making out to the fair one last time, be sure to check these out! 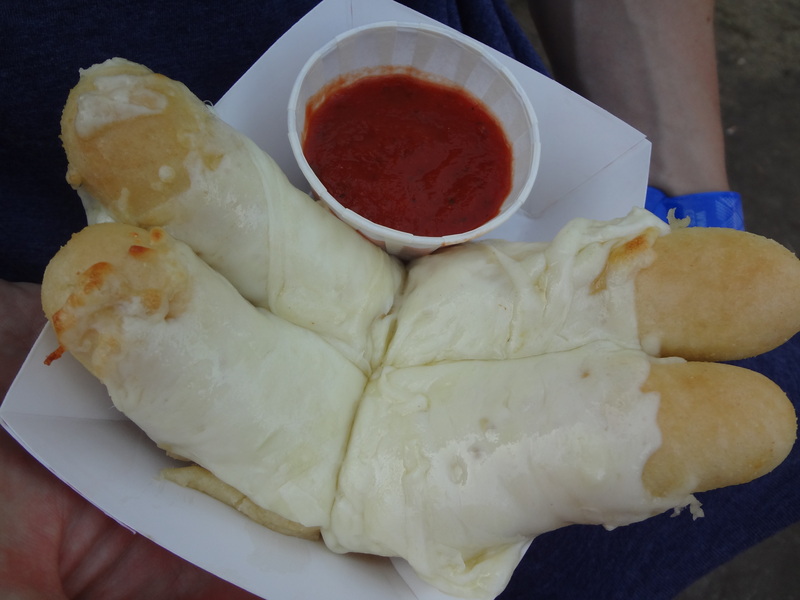 These pizza dough breadsticks come fresh out of the oven, are basted in garlic butter and covered in a heap of mozzarella cheese. I mean really, does it get better than that? It does when it comes with a side of fresh tomato sauce – the acidity works perfectly to cut the sweetness of the mozzarella, and complements the soft, fresh texture of the breadsticks. A word of advice: Eat these immediately! Like all things covered in cheese, they’re best when ooey-gooey. Oddly enough, it was the giant container of fresh lemonade that drew me to the Australian Potato stand, not the fried potatoes (although, those may need to be sampled another time). And it was a good call. This lemonade was everything it should be – flavorful, tangy yet sweet, and very refreshing. 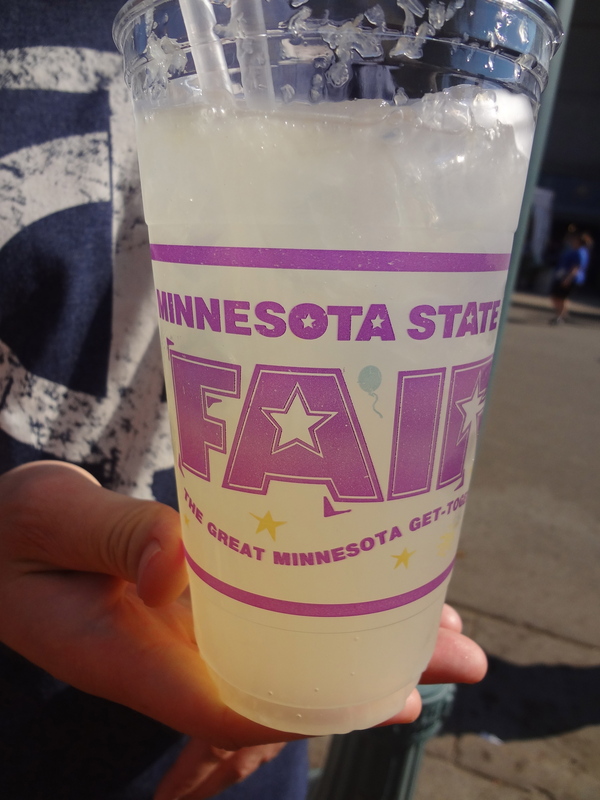 You get a large glass for $6, and when it’s a hot day at the fair, you’d be hard pressed (or squeezed…ha!) to find a better thirst-quencher than this. Two words: Eat this. I am not usually a big let’s-eat-everything-deep-fried-and-on-a-stick type person, but if you’re going to have something deep fried at the fair (which is sort of unavoidable) make it this. Skip the deep fried candy bars and Oreos, they’re great for a sugar hit, but if you want a quality dessert when deep fried, go straight for the pie. The crust becomes incredibly flaky, and the cinnamon infused apples inside are baked to a soft perfection. It comes topped with ice cream, your choice of cinnamon or vanilla, and topped with a sprinkling of cinnamon sugar. Our recommendation is definitely to go with the vanilla ice cream. The spiced apple filling is so flavorful, the cinnamon ice cream is more of a flavor mask than a compliment. 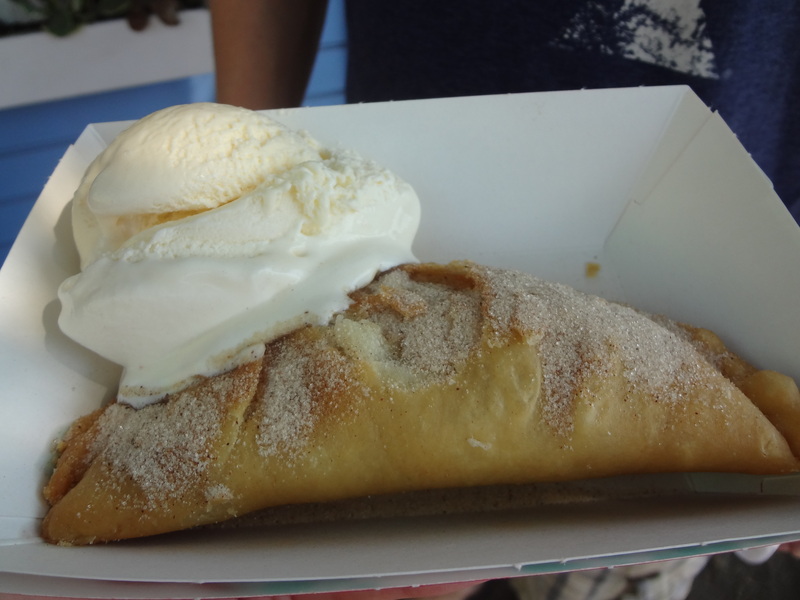 The creamy simplicity of the vanilla adds a nice depth to the flakey, gooey pie – one of our new Minnesota State Fair favorites! And if you missed out on any favorite from this post, or the last, don’t be sad. Just check out this chicken. 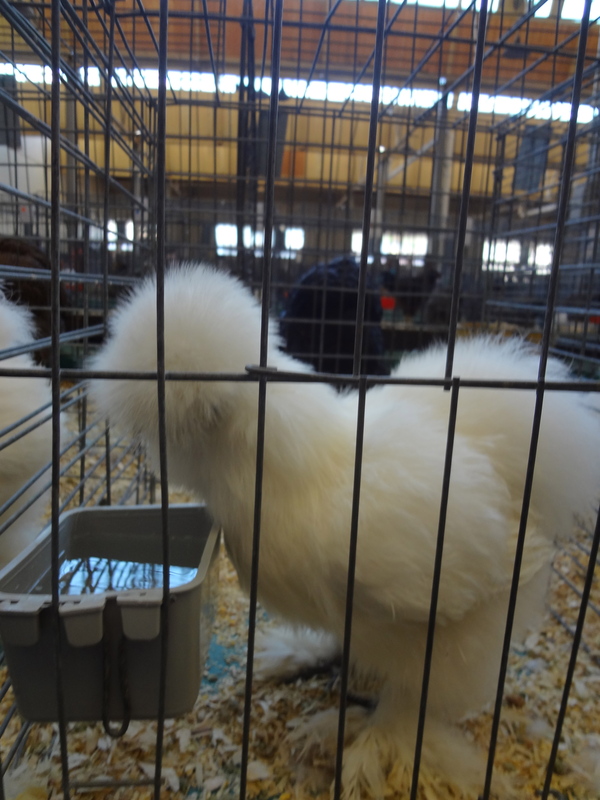 Yes, it is a chicken. If that doesn’t cheer you up, I’m not sure what will. This entry was posted in Uncategorized and tagged Apple Pie, Breadsticks, Deep Fried, Deep Fried Apple Pie, Event Reviews, Garlic, Garlic Butter, Lamb Fries, Lamb Testicles, Lemonade, Luigi Fries, Minneapple Pie, Minnesota State Fair, Mozzarella by theculinarycapers. Bookmark the permalink.